Bromsgrove based builder and construction specialists Ellis Construction Services were looking for a complete design solution. We created the logo and website design around their ideas. Subsequent projects included the design of business stationery to compliment their website. 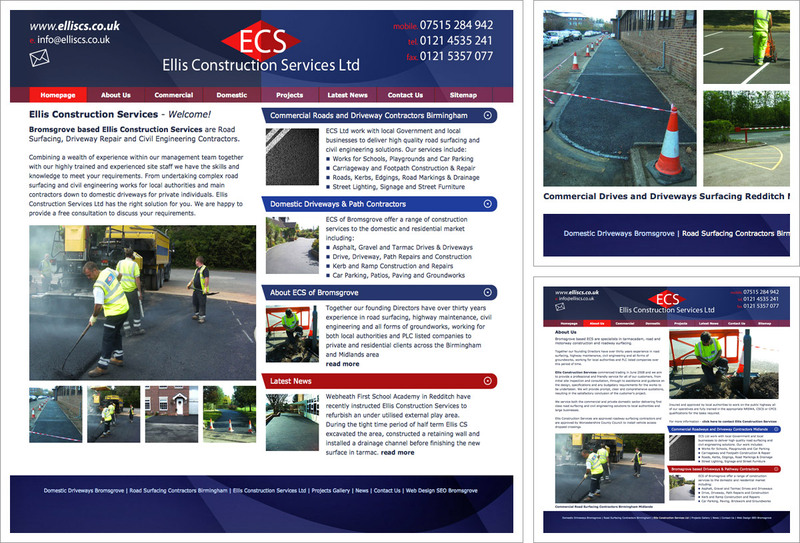 Ellis Construction Services recognise the importance of good maintenance and their website has been revitalised with new content and photos. The existing branding was given a facelift and the site is generally bigger and better than before.